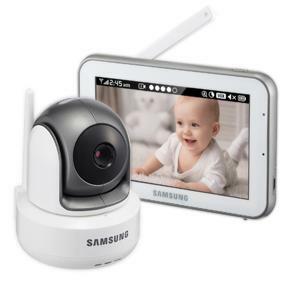 Our Samsung BrightVIEW Baby Monitor system uses the latest technology to provide parents with a peace of mind. 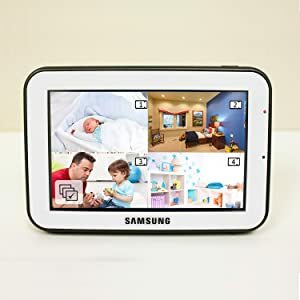 The high quality 5.0 inch Touch Screen on the monitor allows you to observe your little one so you always know what he or she is doing when you're not there. For the times you can't be there, make sure your baby's safe with a high quality system that is packed with new features. Long Range up to 900 ft.
Non-Visible IR LEDs - Night Vision up to 16ft. 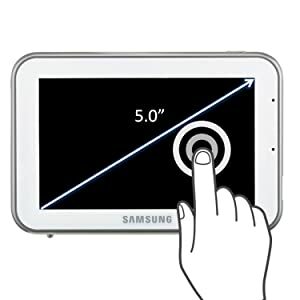 Large 5.0 inch screen so you can have a wider and clearer view of your footage. 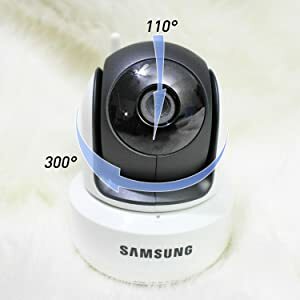 Just tap on the screen to control the camera accordingly and view your baby in high quality. Always stay alerted with the reliable voice activated (VOX) mode. You can adjust the sensitivity levels so you will know when your babies cry or even wake up from their sleep. Don't worry about having to dive for that charger. 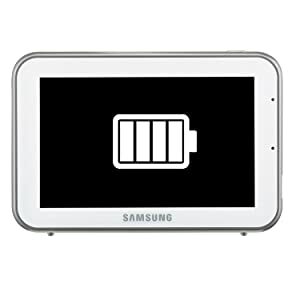 With functions like 'Audio Mode' and 'VOX Mode' your monitor will only turn on when it detects noise and gives you the ultimate battery life. Control your camera to pan, tilt and zoom in the screen! Simply use the up and down arrows as well as the zoom in and out icons to control the camera. With a growing family comes the need to be able to monitor multiple rooms. You can now add up to 3 additional cameras (SEP-1003R) for your remote viewing. 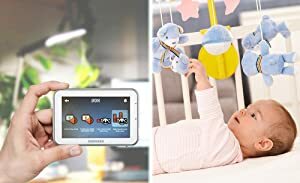 We have made it even easier to charge your baby monitor. 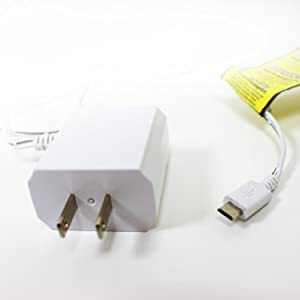 This USB charger gives you more leeway to set up different charging stations throughout your home.